Catto Propellers has been a progressive leader in the advancement of propeller design and engineering. 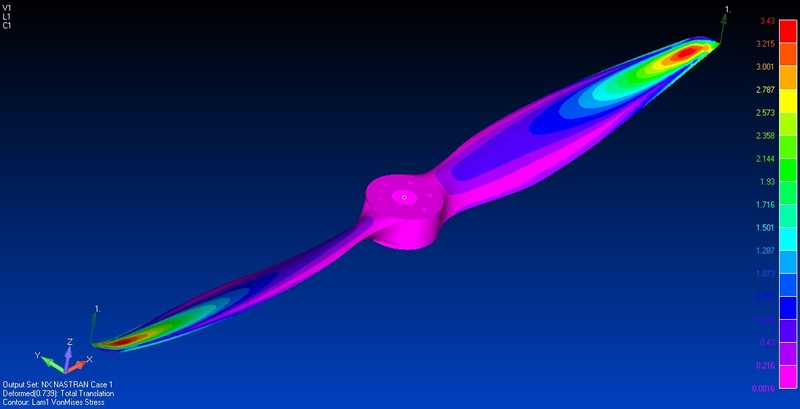 The latest advancements have been in conducting a full vibration, Finite Element Analysis (FEA) and flow analysis of a propeller and adapting the findings to continuously advance our airfoils. Catto Propellers partnered with Paulo Iscold, an Aeronautics Professor at UFMG in Brazil to develop a custom Data Acquisition Unit that is mounted inside of the spinner. 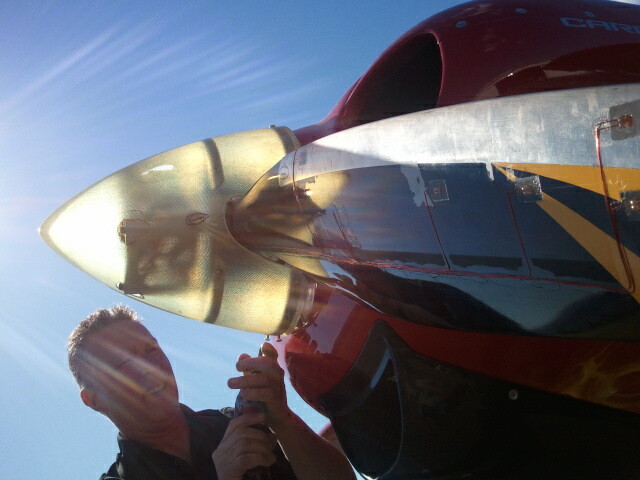 This allows the harmonics of the blade to be monitored through all stages of flight. A materials engineering analysis was conducted as a result of the findings in order to reduce the vibration over the RPM operational range of the engine. In 2013 Catto Propellers began to develop a method to record the dynamic air flow of a propeller in flight. With a custom mount made by Saber Manufacturing and a vacuum formed carbon fiber case to house the GoPro, we were able to maintain a live feed on the propeller aerodynamics. 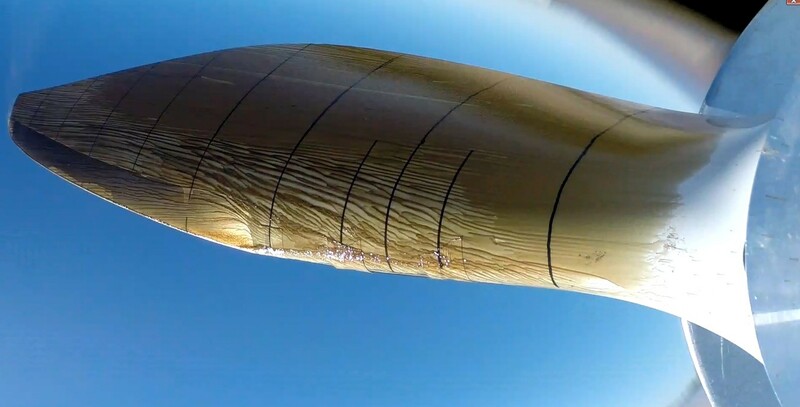 The GoPro Hero 3+ with 60 frames per second, 1080p, provided a real time visual throughout the flight profile that allowed Craig Catto to improve the propeller efficiency by actively notating where it is possible to reattach flow and modify the airfoils accordingly, ultimately improving the performance of the blade, in all aspects. It’s been this type of continuous improvement that has led to Catto’s achievement of numerous world records and recognition of advanced propeller design. Be sure to check back in frequently for our updates in research and development.